The wsAP ac lite is a perfect access point (AP) for hospitality networks (hotels, shopping malls, hospitals, airports etc.). It has an unobtrusive case that fits in standard wall power sockets. This way, the unit doesn’t attract attention and blends into any environment. The wsAP has three Ethernet ports: one on the back side for easy PoE-in, and two LAN ports behind the front door. 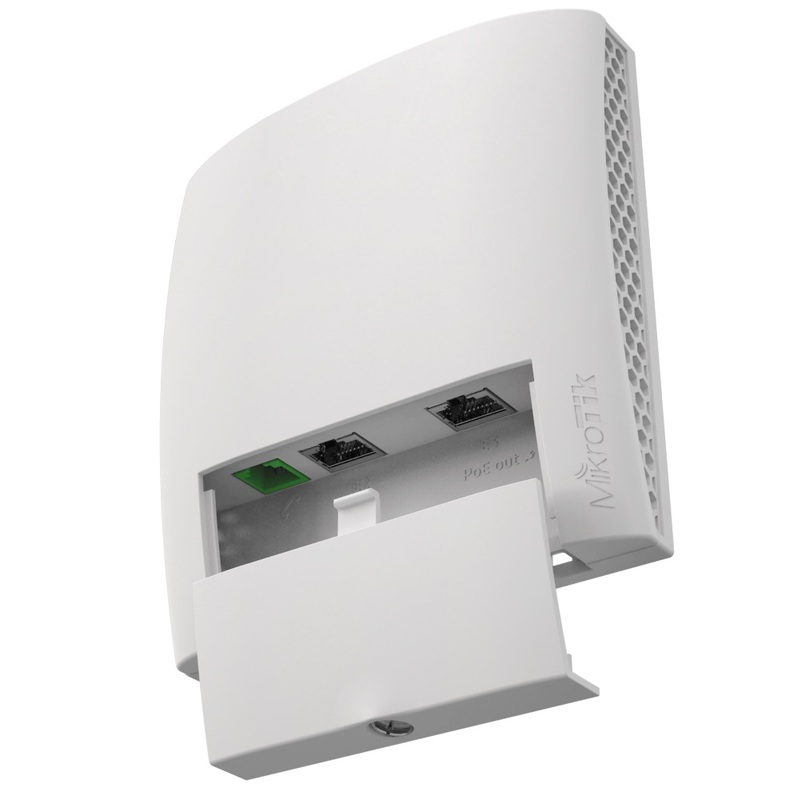 The device provides Dual concurrent 2.4 GHz and 5 GHz WiFi coverage, it supports 802.11ac, as well as legacy standards. A USB 2.0 port is provided, to charge mobile devices or for storage. The device also has a pass through telephone jack (RJ11) to connect a desktop phone in a hotel room, for easier cable management. As a separate accessory you can order a special screw set (product code K50), that ensures the bottom door can only be opened by the owner. Mounting bracket fits US and EU most popular telecomunication sockets. wsAP ac lite-US (USA) is factory locked for 2412-2462MHz, 5170-5250MHz and 5725-5835MHz frequencies. This lock can not be removed.